Add a pop of colour to your bracelet with this beautifully crafted Around the World bead. Styled with vibrant blue enamel and fresh sterling silver. Discover all the ways to express yourself with one of a kind jewellery that reflects your life and experience. Inspired by your personal sense of style, Chamilia jewellery is as unique as you are. 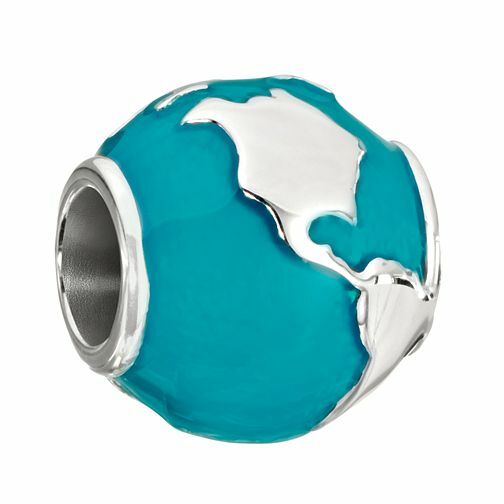 Chamilia Around the World sterling silver & enamel bead is rated 5.0 out of 5 by 1. Rated 5 out of 5 by Anonymous from Good Service I ordered two charms which came with a free Chamilia tote bag. Arrived quick and efficiently. Bag was damaged on arrival but one member of staff emailed me back and sent me out a replacement super fast. The charms are beautiful. Thank you.